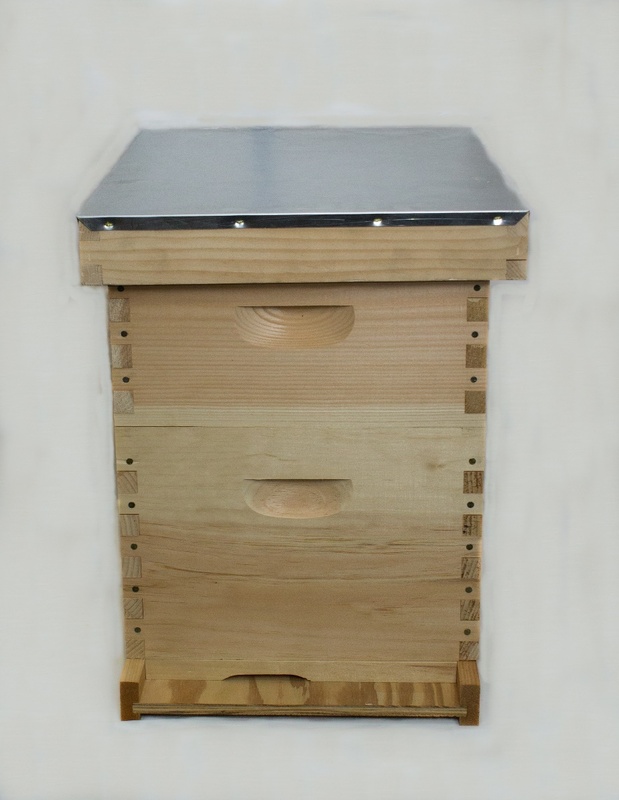 The 10 frame medium super is where the honey is stored within the hive. 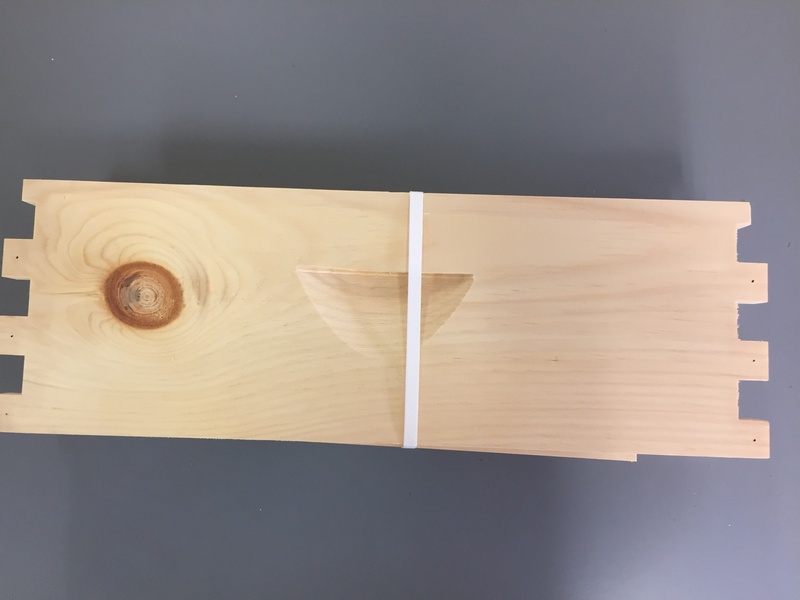 Our wood is Eastern White Pine from the New England area. Our wood is then shipped to Toccoa, GA where it is then manufactured. 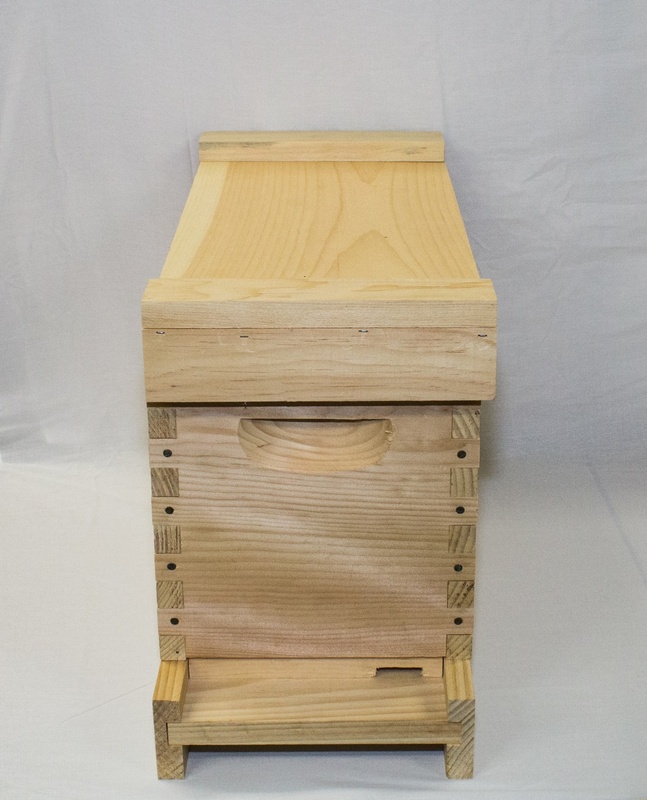 Eastern White Pine wood allows for extended use time in the apiary versus other woods. 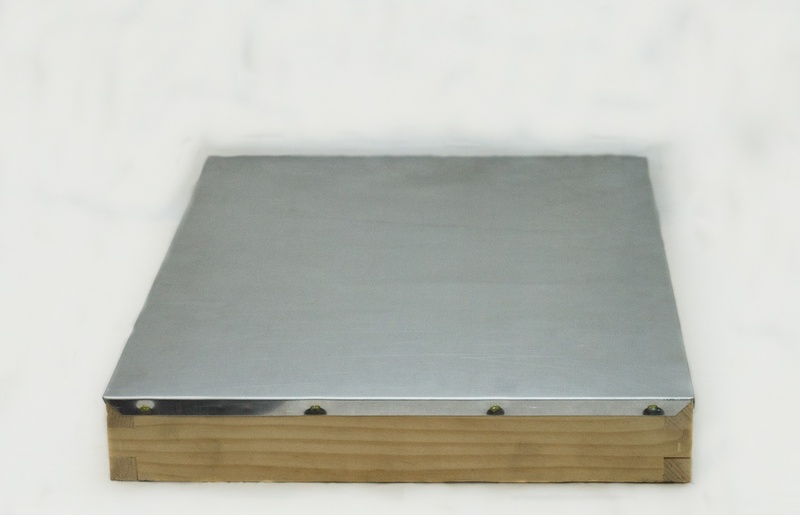 The D-handle allows you to have a deep grip when having to move the brood box by hand or with a hive carrier. 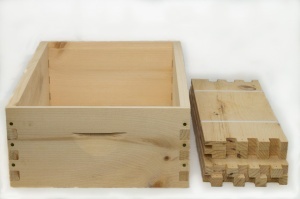 The end joints allow better stability and reduce cupping over time. All nail holes are pre-drilled to reduce the chances of splintering with 6D nails.